If you ever receive a text message to your “text only number” and TTP cannot automatically locate the client or staff who sent the message, it will be placed in the Unassigned Messages tab. We will also send you a notification via email that you have received a text messages that is unassignable. 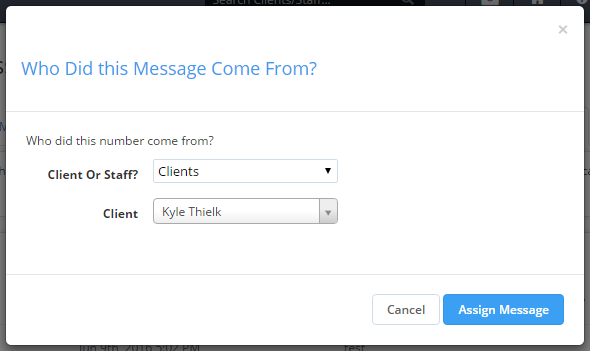 The message will now be placed in the appropriate client or staff’s conversation feed.